The silence was broken by Jiang Yun’s voice. The three short and simple words were like thunder that heavily dropped on everyone’s heart. Especially the word “again” was completely a humiliation to Feng WuJi. Jiang people coming back to their senses raised a clamor and shouted. They were hoping for Jiang Yun to kill Feng WuJi. First time Feng WuJi did a sneak attack on Jiang Yun, and now he had refused to acknowledge his failure. It was clear that Feng WuJi was extremely insidious. If he let him go, there will be an endless flow of disastrous aftermath; furthermore, Feng WuJi had broken the Mang Mountains’ rules. Thus, Feng people could say nothing if Jiang Yun killed him. Feng Ling shouted worriedly. He then led all the Feng people to charge Jiang Yun. 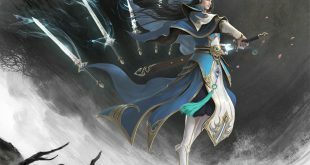 While after musing for a short time, Jiang Yun put the dagger away. At the same time, he punched out another hand as fast as the wind. A loud noise sounded as the fist pounded on Feng WuJi’s chest, knocking him flying. At the same time, Jiang Yun took advantage of the reacting force and moved back for several meters. Witnessing that Feng WuJi was knocked to fly by Jiang Yun, Feng Ling’s eyeballs seemed to pop out of his eyes. He was too mad that he had no time to take care of Feng WuJi; instead, he rushes at Jiang Yun immediately. Feng Ling held himself back reluctantly. Gnashing his teeth, he knew that Jiang WanLi’s warning wasn’t a bluff. It was Feng WuJi who broke the rules first. Hence, if Jiang Yun killed him, Jiang Yun was just doing the right thing. If Feng people raised a hand to Jiang Yun, they would certainly be attacked by the alliance of all the villages in the One Hundred Thousand Mang Mountains. Even if the Samsara Sect was of great force, it wouldn’t offend the whole One Hundred Thousand Mang Mountains for only an inner disciple. After confirming that Feng WuJi was only broken several ribs and would not die, Feng Ling gave Jiang people especially Jiang Yun a ferocious stare and shouted. Then he waved his hand as a sign and headed the precession of Feng people to leave, with Feng WuJi being carried. However, another change broke out at this moment. A crack was sounded. Feng WuJi suddenly snapped the arrow that was shot by Jiang Yun just now. He intensely stared at Jiang Yun, with eyes full of resentment. In Mang Mountains, if one pulled out the arrow that was shot by another, it meant that the one has accepted the duel challenged by another. While if one snapped the arrow in half, it represented that the one wouldn’t end fighting against another until he died! Apparently, no matter how the years changed, neither Feng WuJi nor Jiang Yun could live while the other one survived. Feng WuJi’s threat continued resounding in villages long after Feng people were out of sight. While Jiang people heaved a great sigh of relief with Feng people’s disappearance. At least this event had temporarily come to a conclusion. What Jiang Yun appeared to be today was totally beyond Jiang people’s expectation. But he brought them a surprise meantime. Jiang Yun was a family member of them, and they would always be willing to find their people being stronger. Now Jiang Yun had recovered his usual look. He smiled to others, then followed Jiang WanLi back to that small cottage. The steam in the room has faded, revealing its rough condition. However, Jiang WanLi was lost in thought and didn’t say a word after Jiang Yun has sat down. He was considering how to start the conversation. Jiang Yun also had something in mind. One thing was Feng WuJi’s threat before leaving. Another thing was grandpa’s unfinished words a moment ago. However, he dared not ask grandpa whether he could cultivate or not. This was just the reason why Jiang Yun didn’t kill Feng WuJi. Though he didn’t know what the Samsara Sect was, he understood that the one making Feng people no longer fear Liu TianRen must be a strong one. Thus, if he killed Feng WuJi, he would definitely get Jiang village into trouble. “Sure. Even if I let him go, he would never stop hurting me and even our whole village!” Jiang Yun’s eyes were cold, saying word by word. Feng WuJi’s action to snap the arrow and his threat before leaving were the best evidence. He would certainly come back for revenge in five years! Jiang Yun was stunned. He had thought that grandpa would talk more about how to deal with Feng WuJi’s challenge in five years. However, grandpa didn’t. But the previous topic was also the one he cared most. Hence, sobering up, he picked up his ears as he was afraid of missing any word from grandpa. “Am I?” Jiang Yun was so excited that he suddenly stood up. This worry had troubled him for sixteen years, and finally it seemed to be solved now. Jiang Yun kept the sect’s name in mind. He told himself that he must go to the Seeking-Tao Sect to have a look if he had any chance to leave Mang Mountains after he became an adult. “Right now?” Jiang Yun was stunned. Though he spent almost half of the time in exploring the deep Mang Mountains these years, he knew that he had always been too far to reach the frontier of Mang Mountains. Because the One Hundred Thousand Mang Mountains actually meant that the area of Mang Mountains was as large as five thousand kilometers! Even one rode the best mount instead of walk, and even not considering the danger of meeting fierce beasts at any time, it would cost several years to go outside the Mang Mountains.